Congratulations to two LOBO members who recently completed Phase 1 flight testing of their new aircraft. With special FAA letters of exception, both Steve Eckrich (EVO N45EK) and Tom Sullivan (IV-PT N994PT) conducted successful flight testing of their turbine-powered aircraft under the provisions of AC 90-116, Additional Pilot Program for Phase I Flight Test. 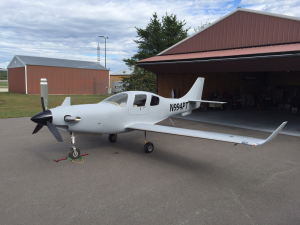 While this program has been available to Lancair builder/owners with Continental and Lycoming-powered aircraft since September, 2014, turbine-powered aircraft were specifically prohibited. LOBO assisted Tom and Steve in working with the FAA's AFS-800 division to gain these approvals, and will gladly assist you if you're getting ready for flight test, whether powered by a spark ignition aircraft or turbine engine. (Sorry, aircraft with automobile and other "derivative" engines are not eligible to flight test under AC 90-116). Click here to read Tom's report. I wanted to share an abbreviated version of Tom's report to the FAA because it summarizes many of the issues and concerns your Lancair Owners and Builders Organization has been working on your behalf for the past ten years, and I hope it's inspirational for those still building. 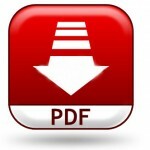 Click the PDF button to the right to read Tom's report. Tom's report is a good summary of what most builders can expect during Phase 1 flight testing. 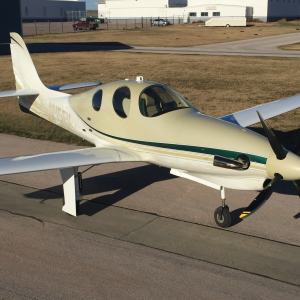 His note that he had verified airworthiness and functionality of the airplane—except avionics—by 25 flight hours is pretty typical for Lancair builders. Note that because he sought permission beyond the scope of AC 90-116, Tom’s “qualified pilot” faced greater FAA scrutiny than that required by AC 90-116, which allows far broader criteria in naming a second pilot. The AC also allows a builder to fly with a lesser-qualified "other pilot" after basic airworthiness is demonstrated. This option was not available to Tom under his waiver letter, but LOBO continues to work with the FAA on the right experience level for second pilot operations during Phase 1 testing. We'd like to thank both Tom and Steve for their enthusiastic support of these important improvements in flight test of E-AB aircraft! 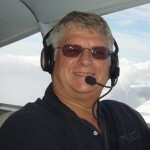 Tom used a draft of the EAA's XP3 Flight Test Manual to plan and guide his flight testing. At present, XP3 is just a "good way" to approach and execute Phase 1 flight testing. LOBO continues to work with EAA in seeking FAA approval to make XP3 an alternative to traditional Phase I flight testing. Tom’s experience shows that when properly used the XP3 flight test protocol can meet the requirements of Phase 1 testing in 20-30 hours for a complex airplane like an IV-PT, and fewer hours for other homebuilts. See Charlie Precourt's article, More Progress at FAA-EAA Winter Summit in the April 2017 edition of EAA's Sport Aviation for a good discussion of EAA's work on XP3 and the Additional Pilot Program. While on the subject of flight test, I'd like to note a few recurring "small" problems within the Lancair fleet that are really not that small. Perhaps the first among these is nose wheel shimmy. It can be caused by out-of-balance nose wheel, a nose tire with a flat spot, or more serious problems such as a malfunctioning shimmy damper or cracked/broken components of the gear assembly. Shimmy usually occurs on landing, but can occur during takeoff; you should be alert to either. EACH and EVERY occurrence of shimmy should ground the airplane until the cause is identified and corrected. No exceptions! Shimmy exerts tremendous loads on the landing gear and motor mount components, and a single event can result in broken welds and/or tubing. In many documented cases, there is no second chance; when it happens the gear collapses. The best outcome is that you’re lucky enough to keep it on the runway and you walk away with a trashed prop. So if you have a shimmy incident, no matter how short the duration, pull the lower cowl and inspect the motor mount and gear components for cracks; then look for the cause. Click here to read an article by Chris Zavatson detailing strut and shimmy damper inspection and servicing. Contact Chris if you have any questions. Other gear problems we see are internally-leaking actuators and control valves. These result in the pump running intermittently—under a heavy load—until it doesn’t. This can be a non-event if you regularly test the emergency extension system—on the ground and in the air—and know how to use it. LOBO accident data suggests those who are willing to operate their aircraft with system deficiencies probably don't regularly test emergency systems either. The next recommendation: Test the landing gear emergency extension system at least annually; more often is better. The primary hydraulic system exerts a lot more force to extend the gear than the backup system, so the fact that the gear extends normally in flight does not validate operation of the emergency system. The springs or gas struts used for emergency gear extension usually weaken slowly over time, but air struts especially can lose pressure very quickly when they start to leak. Lack of lubrication of the pivots in the gear system and binding caused by bent/broken components can also prevent emergency extension. A hard landing should always be followed by a careful inspection of the landing gear, and a ground test if there are any questions. Lastly—and there are a number of other possible deficiencies—if you do ANY work on the gear, gear doors, brakes or wheels—to include changing to a different tire brand—you need to do a gear swing on jacks before taking it into the air. We've had two reported (perhaps more actual?) gear extension failures caused by replacing the gear door hinge fasteners with "slightly longer" screws that caught on the gear and prevented extension. These were "small," but very costly errors. And then my favorite subject: engine fuel system set up. Most of you have fuel flow indicators that can be calibrated very accurately based on actual fuel consumption. When calibrated, this is at least as good as the Continental-specified fuel system set up using fuel pressures. The critical test is fuel flow at max RPM/wide-open throttle. All other adjustments affect engine idle, starting, running during roll-out, etc. These are nuisances (like spark plug fouling) if not set properly, but not damaging to your engine. Insufficient WOT fuel flow will actually produce more power during takeoff, but can destroy the engine in very short order. 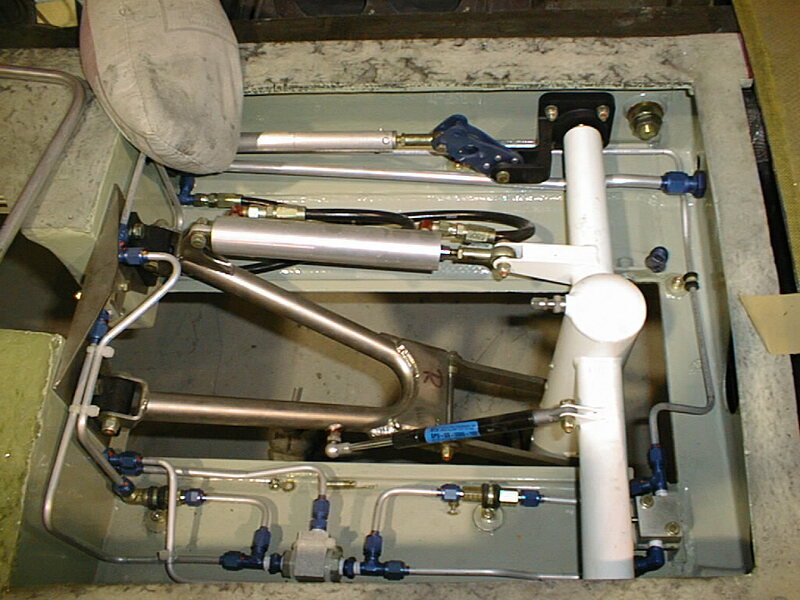 Click here and here for articles on fuel system set up and testing. LOBO has two complete sets of engine tune-up kits for loan to members. One is for normally-aspirated engines only; the other can be used for either turbo or NA engines. 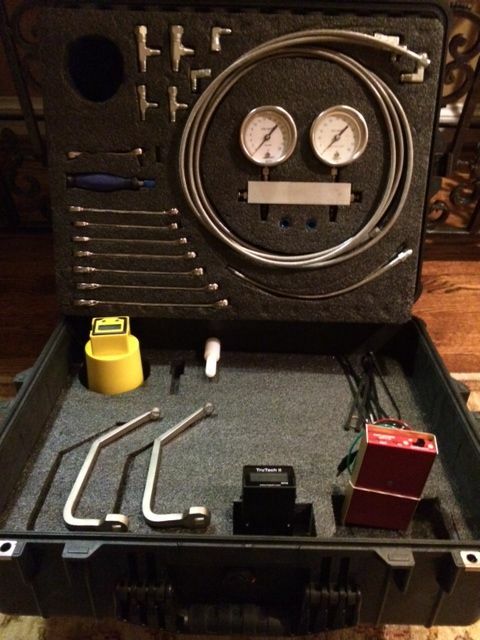 The engine tune-up kits include a prop balancer, borescope, timing box (magnetos only) and fuel system gauges/tools, along with instructions on equipment use. In addition to the engine test sets, LOBO has two emergency door openers for the ES/IV series aircraft—these courtesy of Jerry Meza, an A&P and LOBO member in Tucson Arizona who works on Lancairs when requested (hint). If you shear the hardened #6 screw in the door latching mechanism that holds it all together while you are outside the aircraft, this tool will get you back inside without breaking a window—the only other known way to gain access. The "heads up" lesson on this is that your door latching mechanism—especially for the pressurized aircraft—needs to operate freely and with little resistance to latching and opening. If it's difficult to operate, it's only a matter of time until you shear this critical part. Fix the door latches to work easily now or face major inconvenience/repair work in the future. If you do get "locked out," give me a call at 757-286-4802 and I'll overnight the magic door opener tool to you. And thanks again to Jerry Meza for making these tools for LOBO members! I'd like to thank the significant number of you who responded to our survey of interest on topics/events for the LOBO/Lancair Landing scheduled for August in Santa Fe, NM. We are working hard to fit the large majority of your requests into the time/space available. We hope to have a draft agenda ready to share at this year’s LOBO AirVenture Banquet, but we won’t have a final agenda until sometime in August. In the mean time we plan to talk one-on-one with some of you who made unique and/or specialized requests. There were also some requests for which LOBO has no knowledge/expertise. We've asked our industry partners for help in addressing the latter. Lastly, recent discussion with Mark and Conrad Huffstutler, the new owners of Lancair, now based in Uvalde, TX, indicates a desire to move the company to a more service-oriented organization committed to its past and current customers. 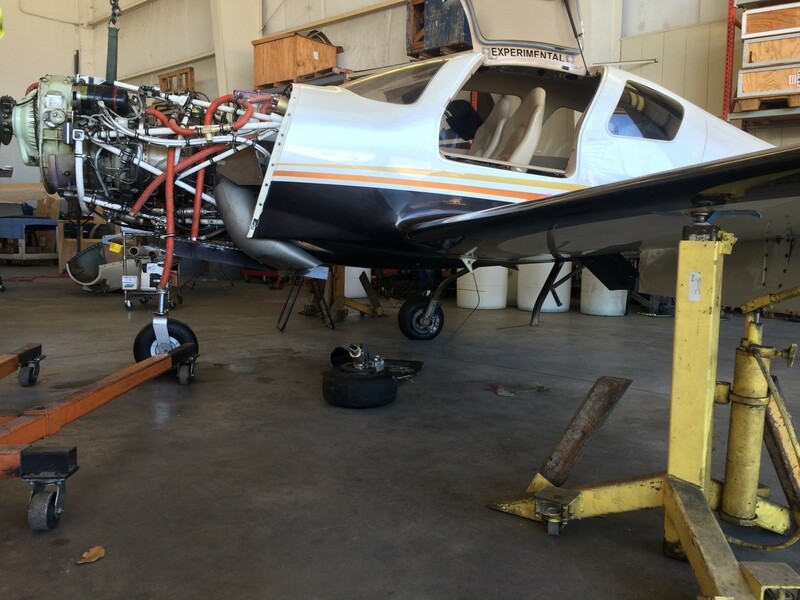 Mark and Conrad are experienced in aviation production and maintenance, and have pledged the best possible support to existing Lancair owners. I was not able to attend their presentation at Sun 'n Fun but hope we can all meet and talk to them at AirVenture. Of primary interest to many of you is future availability of Lancair-unique parts, such as engine mounts, landing gear components and similar items. The Huffstutlers have indicated a sincere interest in meeting this need, but it will take time to develop an inventory of such items, and the decision to produce and stock a particular part must meet their business case. That said, we are excited about having the Lancair name and fleet of experimental aircraft well supported in the future! Give them a call at (866) 526-2247, or visit them online at http://lancair.com. Best of luck to you, Mark and Conrad!